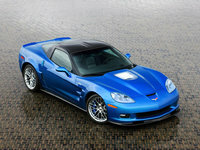 CarGurus has 1,777 nationwide 370Z listings starting at $9,995. It seems Nissan can do no wrong with its Z series of late. With the 370Z replacing the widely successful 350Z last year, the vehicle gained power, lost weight, and even seemed to gain some room inside. This year, a Roadster version joins the team, offering open-air fun for the Z in the form of a power soft-top with heated rear glass. The 2010 Nissan 370Z is a rear-wheel-drive two-seater, with what Nissan calls a front mid-engine layout. This configuration places the engine behind the front axle and as close to the firewall as possible, allowing the front wheels to be moved to the extreme corners, relieving stress on the front suspension, as well as bringing front-to-back weight distribution close to a 50:50 ratio. Available in Base and Touring trims for Coupe and Roadster alike, the 370Z comes with a 3.7-liter V6 - the same found in the Infiniti G37 - good for 332 hp and 270 lb-ft of torque, with your choice of a seven-speed automatic or a six-speed manual with a synchronized downshift rev-matching system, a first. While the clutch has been praised for its smoothness in the six-speed, the shifter has been described as “notchy.” The seven-speed automatic has received similar praise for its smooth operation, but its reluctance to downshift has led many to thank Nissan for its inclusion of paddle shifters, a welcome addition that helps combat the issue nicely. With its double-wishbone front and multi-link rear suspension, the 370Z has handling that's been described as “class leading,” rivaling that of vehicles well out of the Nissan’s price range. With standard 18-inch wheels and Brembo brakes, the ride and stopping power of the 370Z are quite impressive, although owners and testers have commented on excessive noise from the tires, magnified with the 19-inch wheels that come with the optional Sport Package. That option also adds a limited-slip differential, front and rear spoilers, and even larger Brembo brakes with even better pedal feel. Nissan made a special effort with the 370Z to improve the interior of the vehicle over that of its predecessor, with special regard to both dimensions and overall quality. The interior materials were a significant improvement according to owners and testers, with many padded surfaces, including knee rests for both driver and passenger - a necessary addition thanks to a relatively low seating position that can leave some feeling claustrophobic. Otherwise, drivers should be impressed with a relatively spacious interior, especially for a vehicle whose wheelbase actually shortened in comparison to the 350Z's, with only taller drivers feeling any want. The 370Z boasts 6.9 cubic feet of space in the trunk, but this seems unlikely, or at least unusable, with obtrusive wheel wells and a high liftover that make whatever space is available inconvenient at best. That said, it’s still an improvement over the 350Z, whose trunk-mounted support member intruded on rear cargo space even more. Although not often considered as such, the 370Z is a strong contender to rival such American icons as the Mustang and Camaro, with performance that supersedes both at a price that should be much higher. Too much attention goes to front- and all-wheel-drive vehicles these days, when the tried-and-true formula of allowing the front wheels to do the steering and the rear wheels to do the motivating still has nothing wrong with it. The 2010 Nissan 370Z is the latest, and perhaps most stunning, example of just that. What's your take on the 2010 Nissan 370Z? Users ranked 2010 Nissan 370Z against other cars which they drove/owned. Each ranking was based on 9 categories. Here is the summary of top rankings. 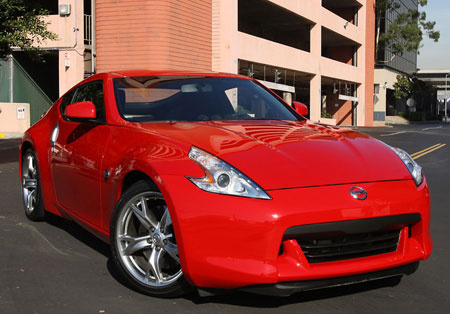 Have you driven a 2010 Nissan 370Z? Do yall buy cars? If so how can i find out what yall would offer me online?? Why Is There Random Loss Of Power With My 2010 Nissan 370z? How to I use Cargurus to manage the payment of my car from the buyer? Did I Just Ruin My Car (failed Oil Change)?